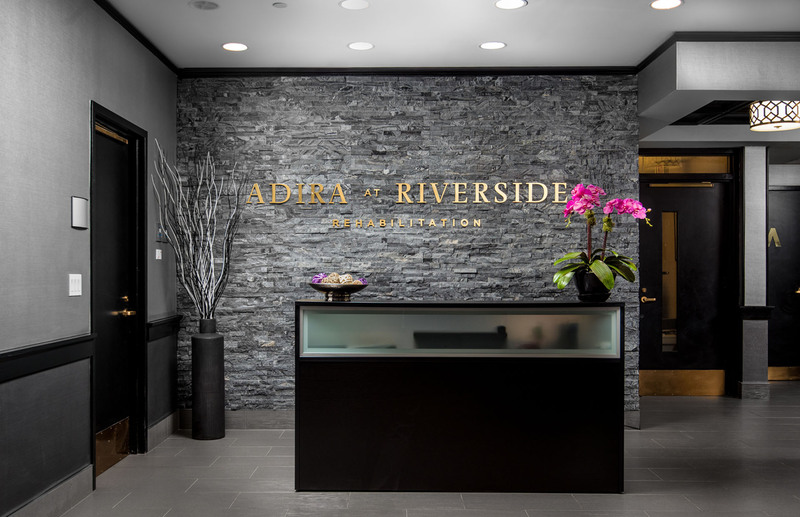 We developed this distinctive identity for Adira at Riverside Rehabilitation, known for its luxurious, Manhattan style elegance. 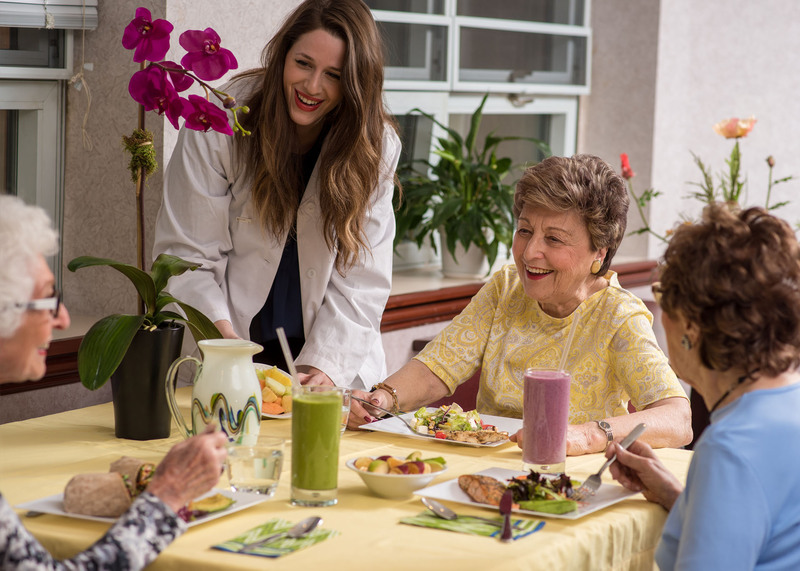 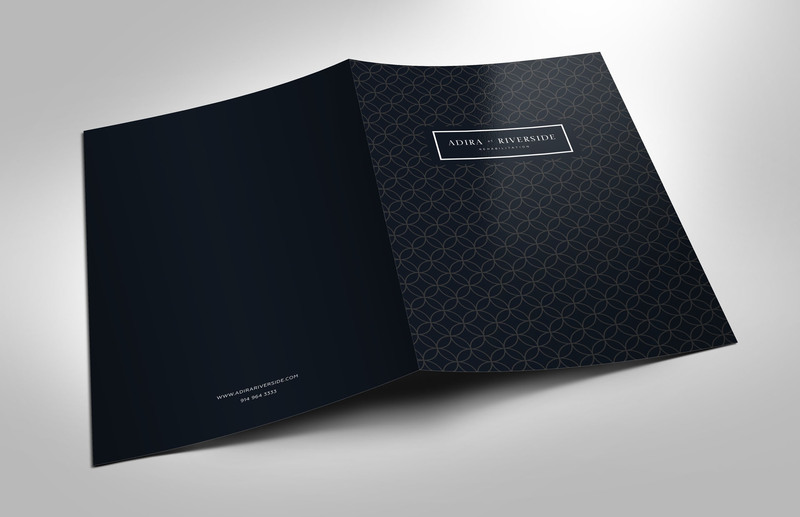 The beautifully balanced logo conveys luxury, sophistication and state-of-the-art care. 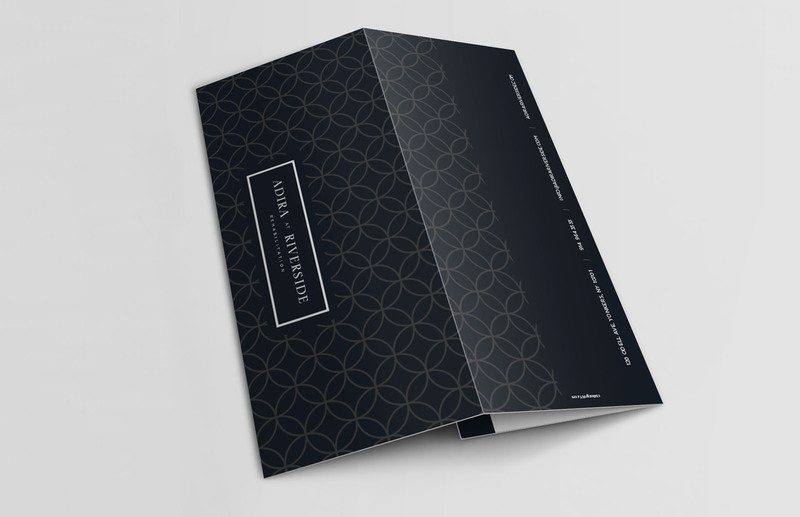 The striking black and gold design is sharp and sophisticated, emphasizing its status as a premier East Coast Rehabilitation and Skilled Nursing Facility. 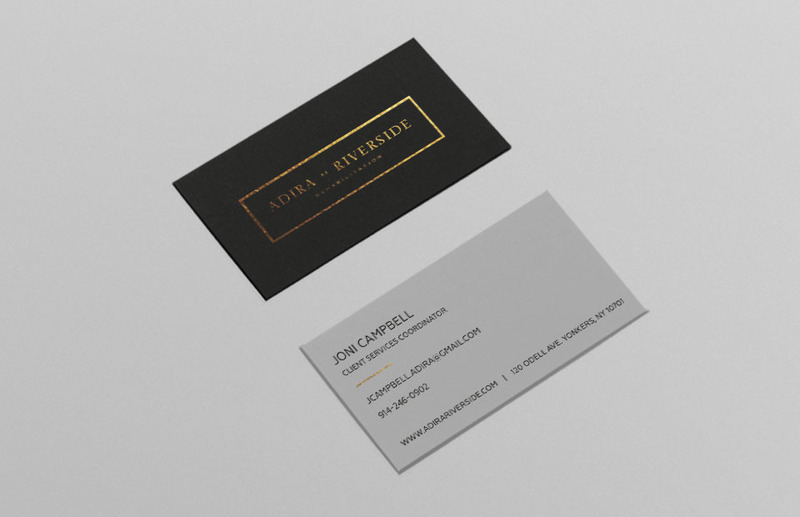 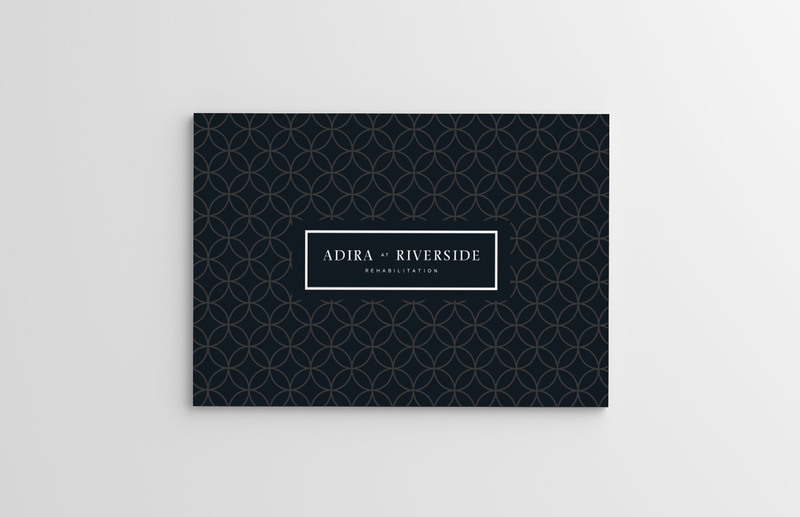 The marketing collateral that we crafted for Adira at Riverside features luxe covers with stately pattern detail. 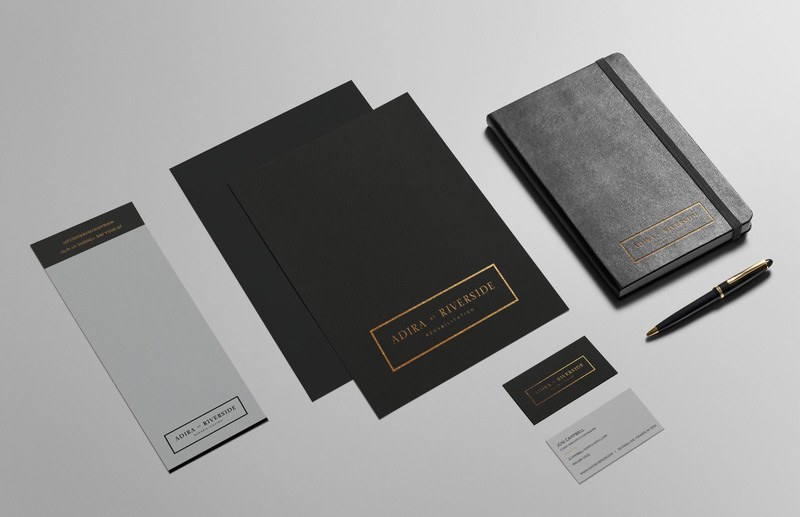 The pieces are printed with a UV coating, and pearl-white foil for an alluring sheen, while the understated elegance of the logo completes the high-end look. 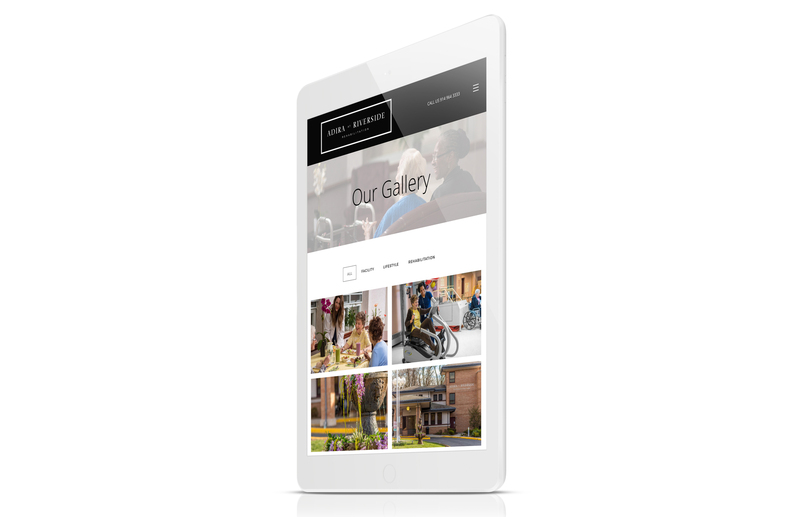 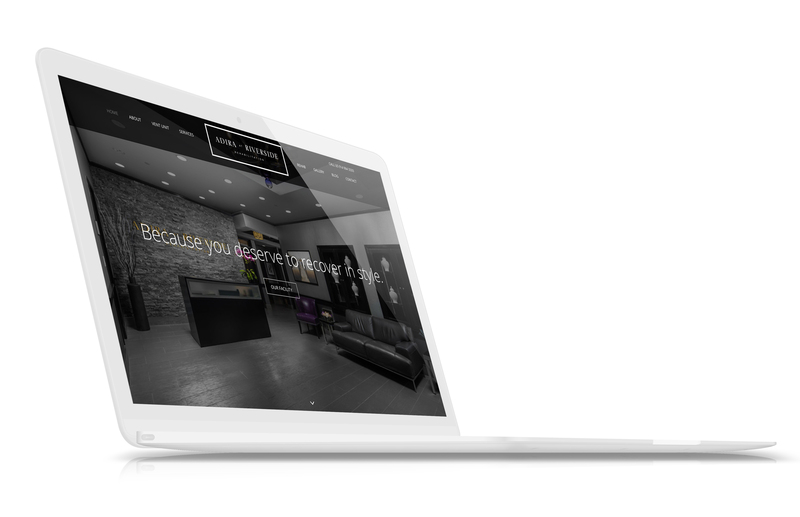 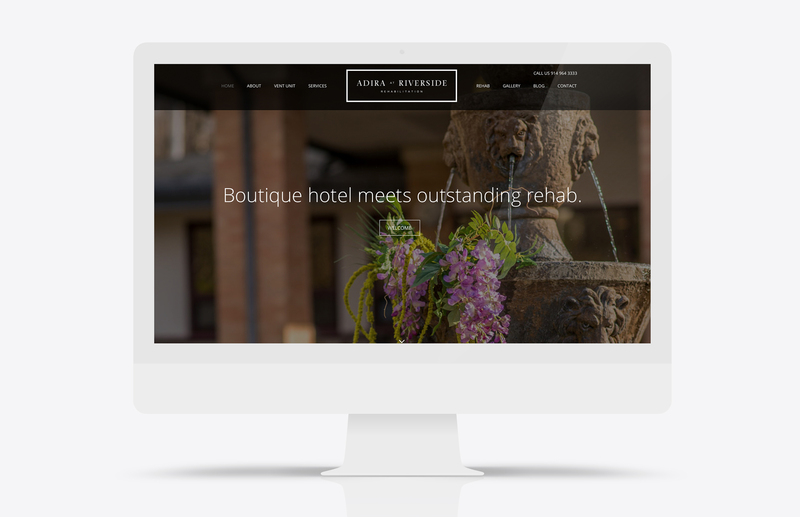 The alluring black and white themed website reflects the luxurious accommodations at Adira, while the smooth browsing and intuitive layouts make for a refreshing user experience.